A lengthy summer escape to the family shack in the river land of South Australia evolved into the ideal setting for City Riots to pen almost forty new tracks. Fascinated with soundscapes created by layered and intertwining guitar sounds, an aesthetic began to emerge that proves City Riots have fallen on their feet, cementing the potential that they have always shown. Shortly after, City Riots made their way to the more civilised surroundings of Melbourne, where they spent a month recording at Red Door Sounds under the ears of Paul ‘Woody’ Annison (Children Collide, Hunting Grounds). The result: their debut album "Sea of Bright Lights" which is out now via Inertia. 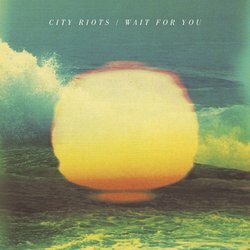 'Catch the Sun' is the second single from City Riots' debut album "Sea of Bright Lights". The driving melodic guitar riff and capacious drum beats are complemented by front man Ricky Kradolfer's breathy vocal and emotive lyrics.